Just think what you could accomplish if you had a trusted peer as your personal sounding board. Imagine spending focused time visioning your goals and future plans rather than focused working in your business. Now is the time for you to do just that. Whether you prefer to focus on uncovering new ideas for growth or discovering new ways to innovate an idea you have been mulling about for years, you need someone who is your sounding board. It would be nice to receive sound advice and accountability as you uncover your own growth opportunities. It would be nice to work with an Executive Coach. Your business grows when you grow. Our executive coaching programs prepare you to do just that. People of all ages and all types of groups find Tracy LeRoux’s direct and candid speaking style refreshing and uplifting. She provides high-octane motivation and real life inspiration to help encourage audience members to take positive steps today and tackle their most important professional and personal issues. 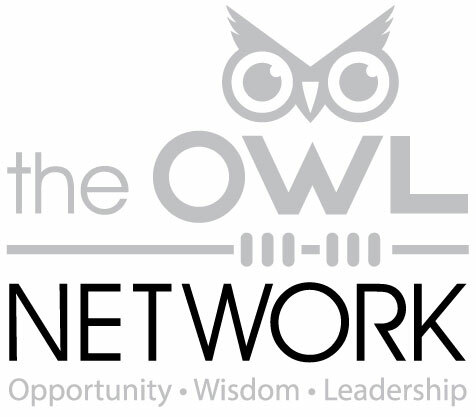 The Owl Network is a membership organization that fuels independent businesses leaders with tools to grow. Our goal is to help your business be stronger, faster, smarter, more strategic, and armed with the same resources as your larger competitors. We do this so you are poised and ready to outmaneuver and out-service your competitors. Ready to take the next step? Call or e-mail today.